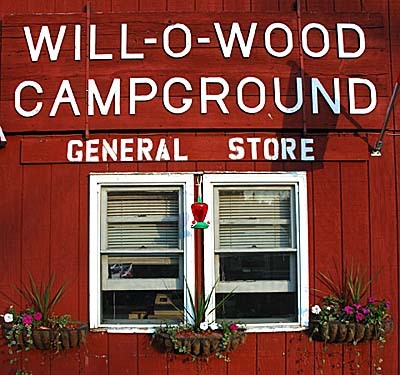 Will-O-Wood is a family campground located in Vermont's Northeast Kingdom overlooking Lake Willoughby. Lake Willoughby is called The L'Lucerne of America. This spring fed glacial lake is famous for its swimming, boating, and fishing. The Willoughby area offers abundant opportunities for Hiking, Hunting, Golf, Bicycling, Sightseeing, Antiquing, Country Auctions, Church Suppers, and just plain relaxin.